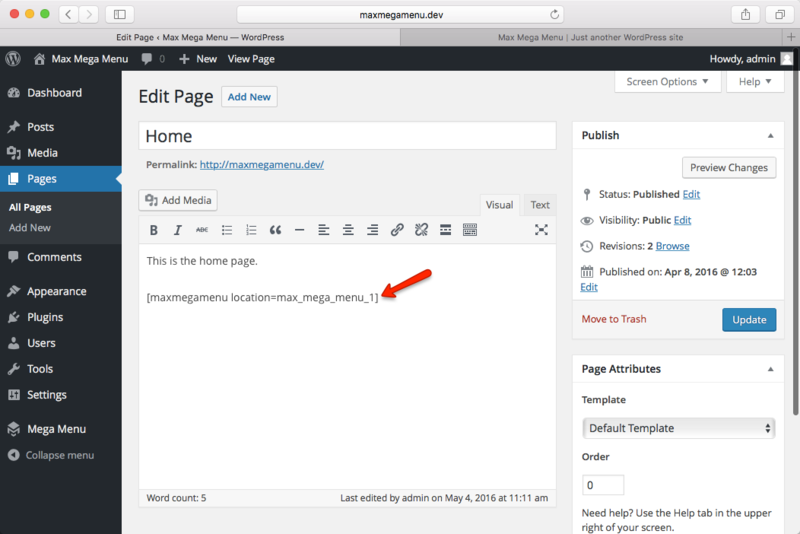 It is possible to display a menu location using the [maxmegamenu] shortcode. This allows easy insertion of menus into your posts and pages. First we’ll need to create a new menu location specifically for use with the shortcode. 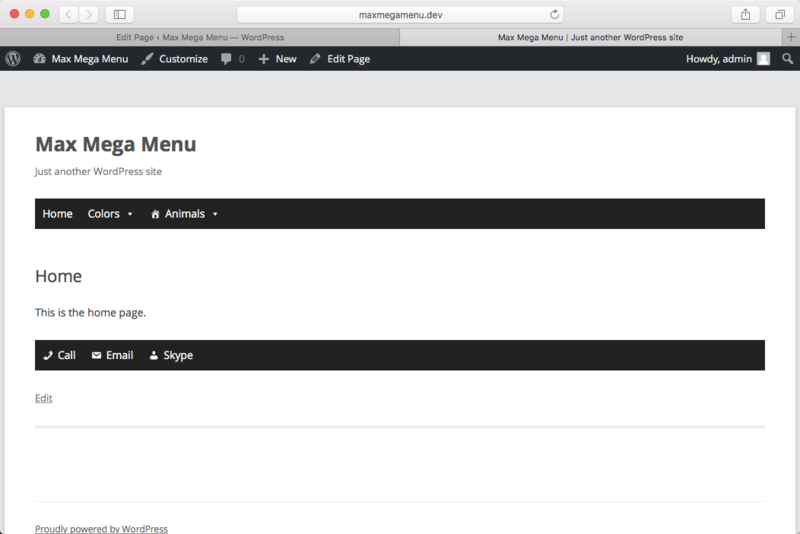 We now have a shortcode that can be pasted into posts and pages to display our new menu location. 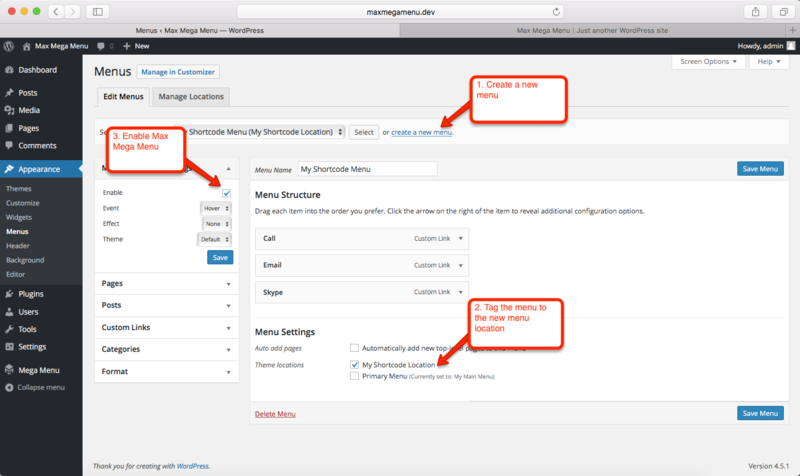 To display the menu simply paste the shortcode from Step 1 into any post or page. Like any other Max Mega Menu enabled menu, you are free to restyle the menu using the Theme Editor and use all of the usual mega menu options to customize the menu. 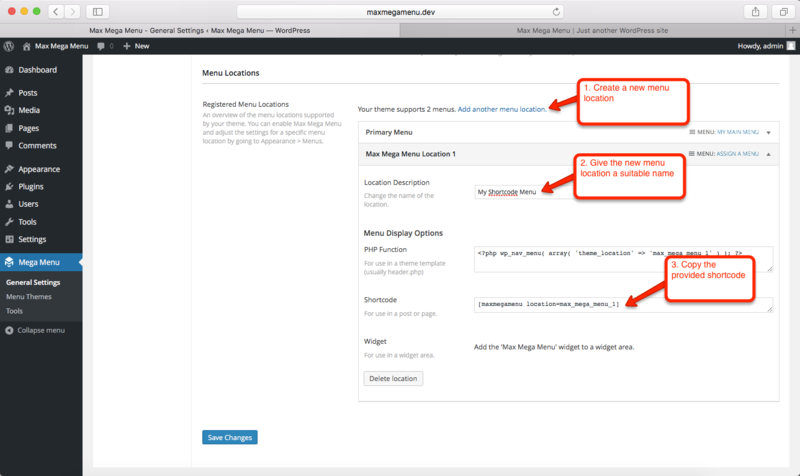 You can repeat the same steps to create and display multiple Mega Menus on your site.